In this week's grand rounds, Dr. Stolz discussed all things DVT and the modified two-point compression study for lower extremity clots. In our recurring EM-neuro combined conference, Dr. Stettler discussed the recent DAWN trial results, and how to incorporate CT perfusion studies into our acute ischemic stroke decision trees. In our Quarterly Sim, we discussed the management of the crashing patient from a house fire, and practiced our escharotomy skills. In our mock oral boards, we went through cases on STEMI, carbon monoxide exposure and limb ischemia. Finally, Dr. Lane discussed the workup of acute diarrhea in the adult population, and Dr. Shah went through a particularly unique toxidrome presentation in his R4 Case Follow Up. 'Twas a fantastic grand rounds. Drs. Banning and Golden started it off taking us through the most recent evidence for management of sub-massive and massive PE, as well as presenting their algorithm to be published on Emergency KT. This was followed by a global health lecture given by Dr. Lagasse, which covered a range of re-emerging infectious diseases. Next, Dr. Bryant took us through multiple pediatric cases, and discussed her approach in determining whether to discharge, transfer, or treat pediatric patients with common / representative complaints. Dr. Adeoye then took us through the history and development of our current approach to the management of acute ischemic stroke. Dr. LaFollette then took us through an evidence based approach to removing things from where they shouldn't be in his edition of mastering minor care, discussing approaches to removing retained objects from ears and skin. We then finished the conference with two interesting cases: One presented by Dr. Sabedra that was followed by a discussion on the diagnosis and management of massive hemoptysis, and the other presented by Dr. Dang illustrating the differences and similarities hyperthermic toxidromes including NMS and serotonin syndrome as well as their management. Pre-hospital stroke care begins with a quick, simple assessment tool used to help identify patients that are suffering a stroke. In Southwest Ohio, this tool is the Cincinnati Pre-hospital Stroke Scale (CPSS). There are three simple components of the CPSS – facial droop, arm drift, and slurred speech. When assessing for facial droop, it is best to ask patients to bear their teeth. Arm drift is assessed by asking the patient to hold both arms outstretched in front of them with their palms facing up. If one arm drifts down or one hand rotates to a palm-down position, this aspect of the scale is positive. Lastly, ask the patient to repeat a sentence to assess for slurred speech or any other type of speech abnormality. This week we recap the latest IOM recommendations on cardiac arrest management, evidence-based update on anaphylaxis management, management of the morbidly obese code and discuss the ins and outs of immunosuppressive agents. Studies vary widely on troponin levels during dialysis, consensus being that troponin levels do not vary significantly vary with dialysis. Although the baseline may be abnormally elevated, ESRD patients nonetheless have a new baseline. Changes above this baseline and especially up trending troponins should trigger alarms that the patient may be having active ischemia. 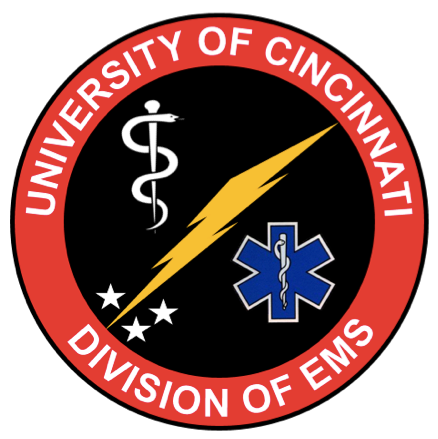 Several months ago, I sat down and talked about the management of neurologic emergencies in the prehospital environment with Dr. Erin McDonough, an Emergency Physician and Neurointensivist who attends both in the ED and the Neurosciences ICU, and is a member of the Cincinnati Stroke Team. In the brief podcast found below and on iTunes, we covered a wide range of topics including blood pressure management in spontaneous ICH, aneurysmal SAH, and ischemic stroke and some of the more rare complications associated with tPA administration.